Preventing pests from entering your Miami home is probably the single most important step in ridding unwanted pests the natural way. That’s why our technicians focus on the outside of the home first. Many pest control companies spray pesticides “everywhere” in an effort to gain control over pests in the home. Unfortunately, this approach leaves those chemicals in places where your family members and pets can come in contact with them. One of the main components of our natural IPM integration solution is “Exclusion”. Our goal is to create a tight seal around your home so that pests and rodents cannot find entrance ways. 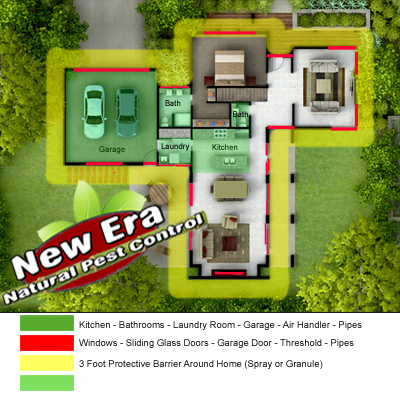 We believe this is a more natural, customized and healthier approach to pest management. Our programs are designed to prevent and control even the toughest pests! Using natural baits, gels, and Natural Insecticides on the outside of the house help protect the inside from those unwanted intruders. 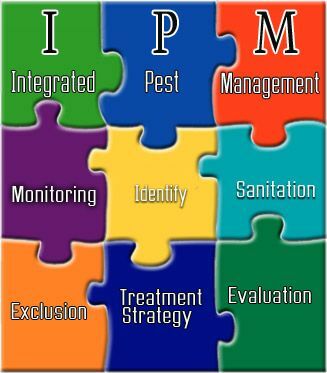 We proudly offer a natural (IPM) Integrated Pest Management approach in each scenario, while determining the most effective, safest and most natural combination of products, methods and application techniques to manage your individual pest problem. Naturally, serving Miami florida, Dade, Broward, and all surrounding areas. Our IPM approach is an effective and environmentally sensitive approach to natural pest control that relies on a combination of natural, common-sense practices and is based on our knowledge and understanding of insect biology’s, environments, habits and natural habitats. The use of these practices and natural insecticides, baits, and techniques assist us in controlling pests the natural way! Improving sanitary conditions, monitoring and correcting landscaping and structural conditions, assists us in keeping those pesty critters from entering your home, Naturally! Here are the areas we focus on in our “Natural Go Green” pest management program! Fill provide your contact information and a short description of the problem you’re experiencing. One of our representatives will be notified and will prepare your quote. Additional answer may be necessary in order to accurately quote your project.